PlayStation Network key to Sony future? One more step towards victory? The PS3 is now more affordable and sales are picking up. Could the PS3 conquer all in 2008? While Microsoft has been expanding its Xbox Live services recently, Sony's PlayStation Network has looked like a bit of a wet fish. It may be free to access, but it's slim pickings when it comes to finding things you actually want to download. 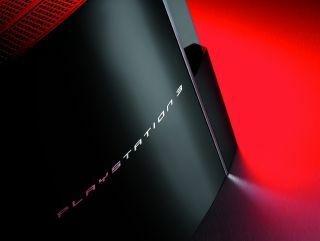 But now Sony bigwig Howard Stringer says the network is set for a big upgrade in order for it to compete with Xbox Live. "PlayStation Network next year puts us in the direct line of fire with Apple Inc and Microsoft Corp," Stringer said at a round-table meeting on Tuesday. Since taking the reigns at Sony, the British businessman has been busy re-uniting all the Japanese company's many arms. In the past, the different enterprises (gaming, TVs etc) have not got on well. But it's Stringer's policy to bring everyone together to present a unified structure for the future. "On Friday, we had a dinner where the heads of Sony Electronics ... Pictures, and Sony BMG, Sony PlayStation were all at the same dinner table intermingled and actually communicating," he said. "I think you will agree that would not be possible six years ago without serious bloodletting," he said. Microsoft's Xbox Live service currently offers movie downloads in HD, as well as full Xbox games, arcade games, multiplayer experiences and a sense of community. The PS Network on the other hand offers only a limited number of movie and game trailers, some demos and not much else. But there is real room for expansion. The virtual world 'Home' service will be launching in spring 2008 and by then, Stringer hopes to have a PlayStation Network that can rival anything from its rivals. It's just one extra step towards making the PS3 a better option for gamers. It's already the most powerful console on the market. It's also a solid media hub, and it's the only console to contain an HD optical drive natively. It's also now much cheaper than when it first launched. Could 2008 be Sony's year? It certainly looks like the PS3 empire will start picking up. Rome wasn't built in a day, after all.